A letter of interest, as the very name suggests, is an official document that basically expresses your interest in something. For instance, if you are interested in a particular job, you can show it with the help of such a letter of interest. 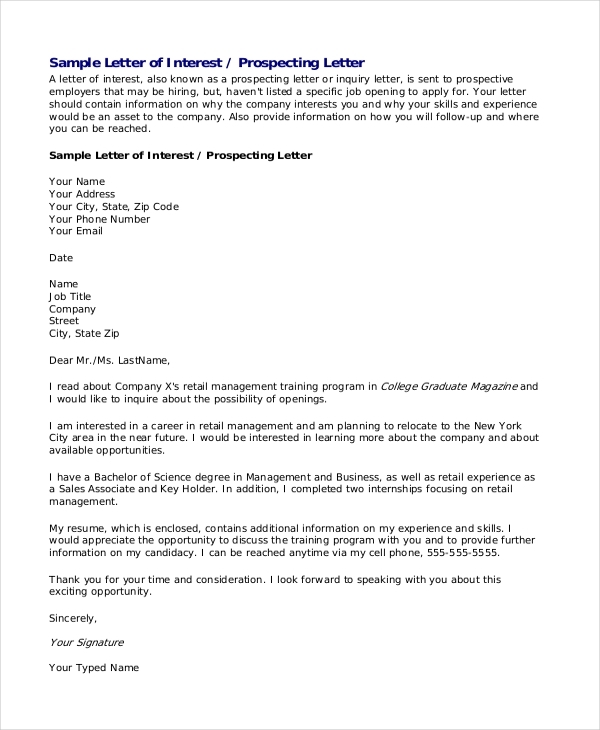 To design a letter of interest for yourself, you can take the help of the Sample Letters templates that are found here. These templates are sure to come in handy. This is one of the most useful and simple examples of letter of interest. It comes in a pdf format and would serve as the perfect sample which you can follow while you design your own letter. This letter of interest comes in a word document. That means it comes with easy customization options as well. You can download the template and then make changes to it as well. 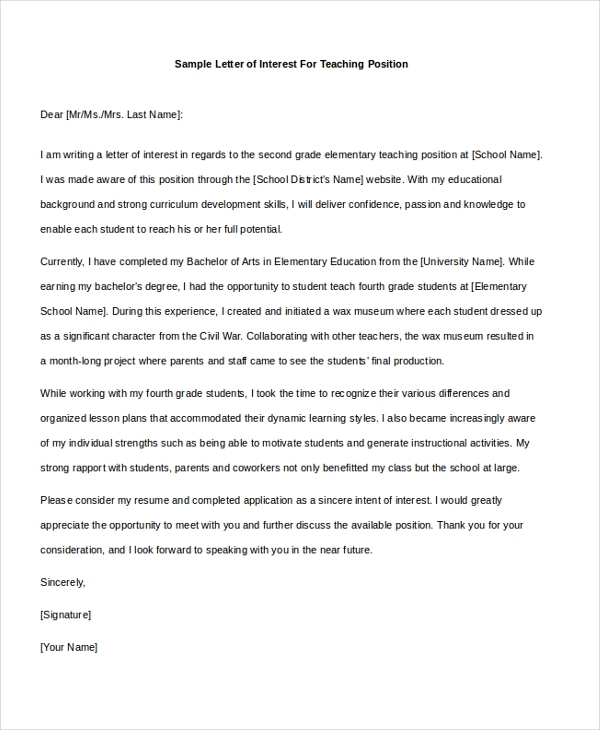 If you feel that the job of a teacher would be perfect for you, then you can take the help of this sample letter of interest which has been designed specifically for the purpose. you may also see Teacher Cover Letters. Has a particular internship caught your eye? 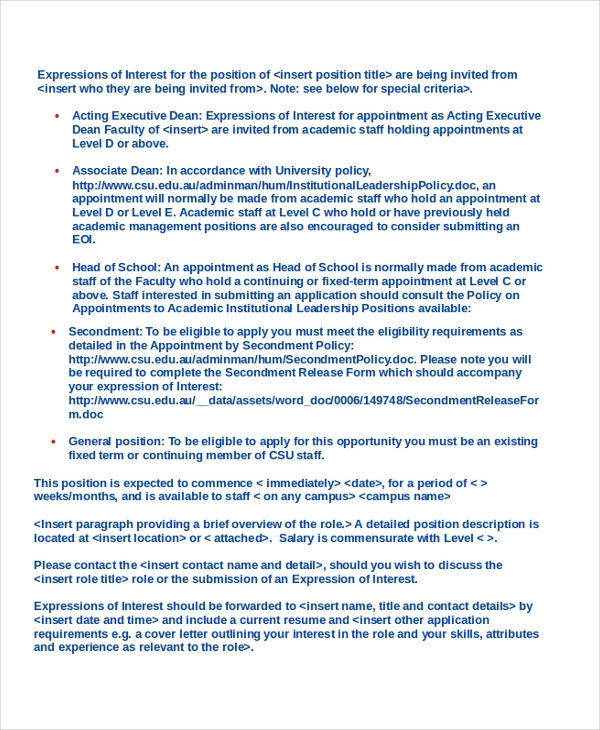 Then you can express your interest in the internship position by using this letter of interest which is very specific and to the point as well. 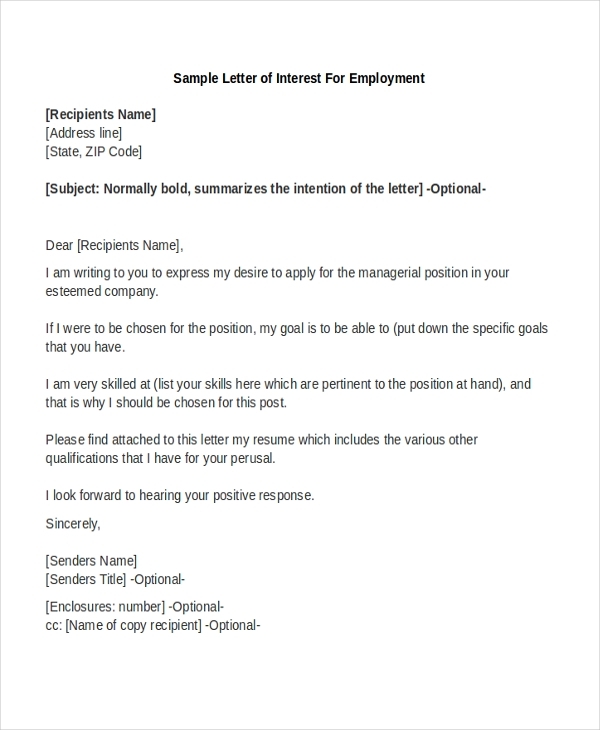 If you want to apply for a particular job or a particular post, then you can do that with the help of this sample letter of interest as found in this template. This is a professional template with the accurate format. You can also see Letter of Intent Samples. 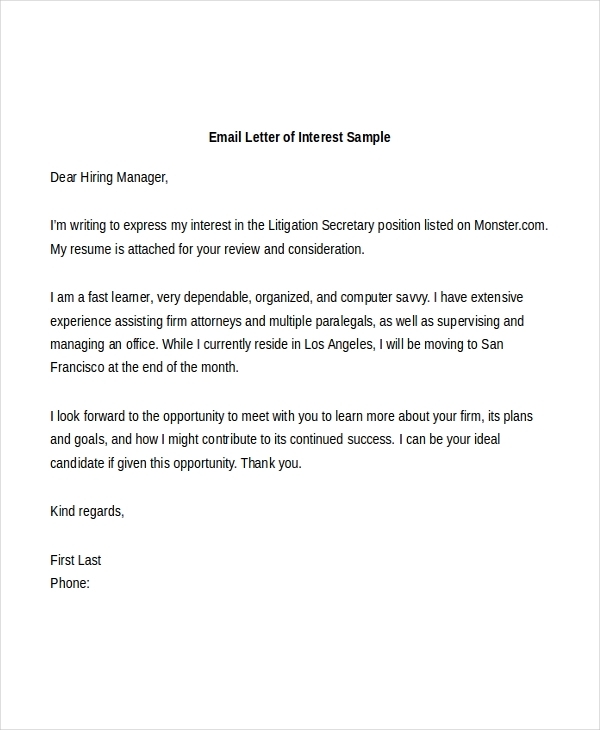 You can express your interest for the particular job or position with the help of an email letter of interest as well. To get an idea of what that looks like, you can use this letter template here. You may also see Job Application Cover Letters. 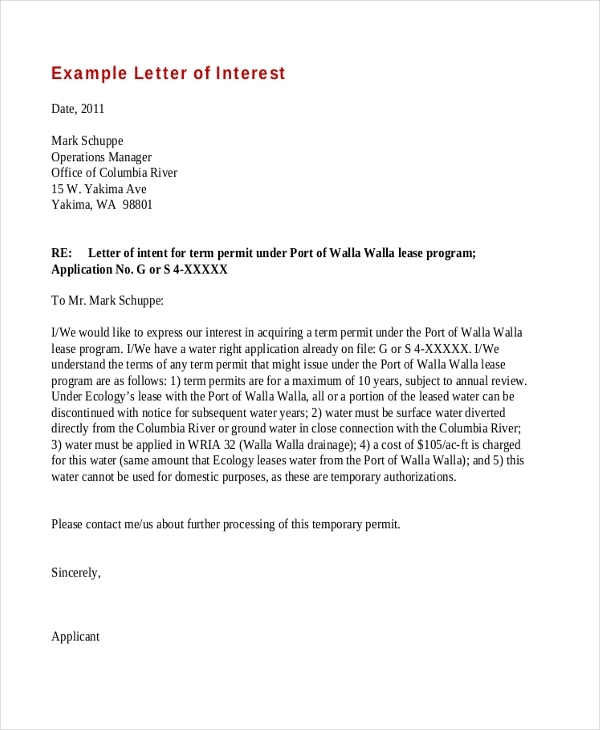 This template here is the perfect example of what a formal letter of interest should look like. It is precise, to the point and expresses your interest in the subject perfectly. If you come across a job opening that seems interesting enough, why don’t you make some enquiries to know more about it? 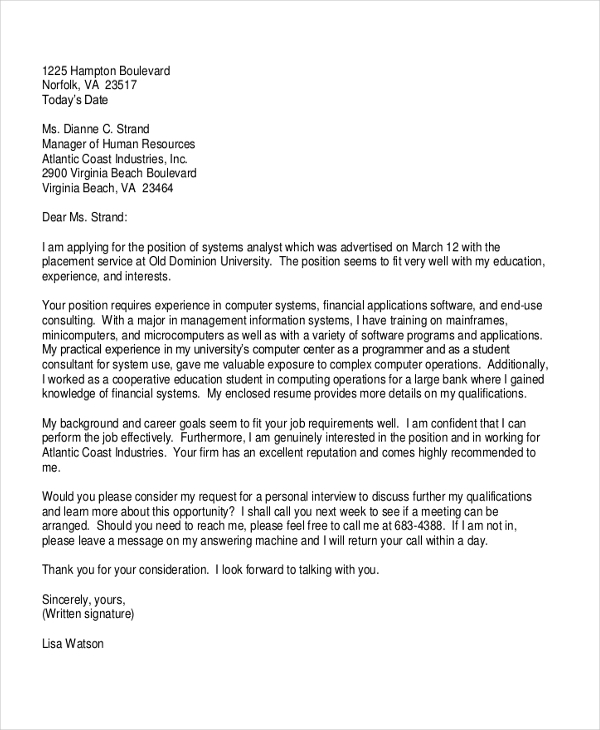 You can do so with the help of the job interest letter template here. How Can You Use The Letters of Interest Templates? If you have seen letters of interest before, you would know that they usually have a similar pattern. Except for minute obvious details, most of the contents in letters of interest remain the same. The templates that you see here are extremely easy to use. They come in simple formats that you use on a regular basis. All you really have to do is go through the collection of templates found here and then download the ones you like. Also, the templates here may be used as samples and you can follow their example while creating the letter. 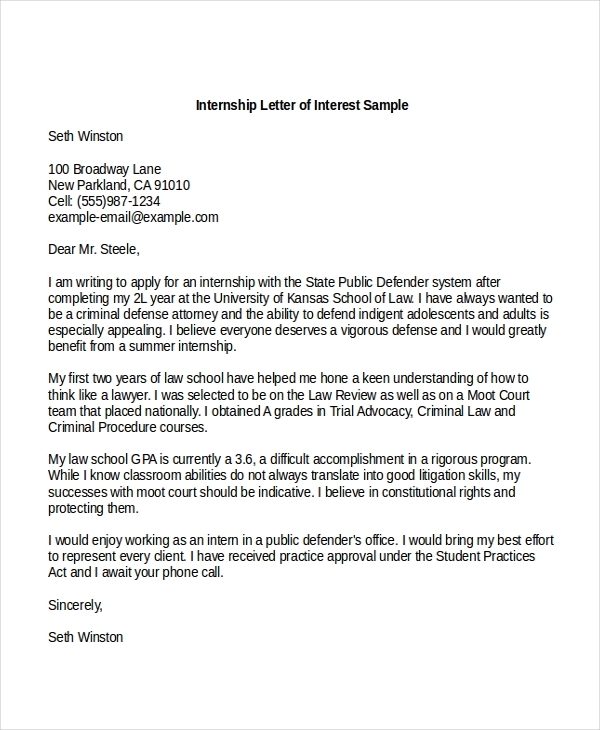 You may also see Letter of Intent Samples. Choose templates based on your needs and requirements. In this section, you will find several templates – each serving a different purpose. You need to download only the templates you feel are useful and handy. Go for a letter of interest templates that are easy to use and follow. At the end of the day, you will be using these templates as samples on which you can model your final letters of interest. Here, you will find a wide range of formal letter templates which can come in handy. Irrespective of what you need the letter of interest for, these templates here will serve your purpose. Also, the templates here have been designed by professionals who know just what you need. You can also see Letter of Application Forms.